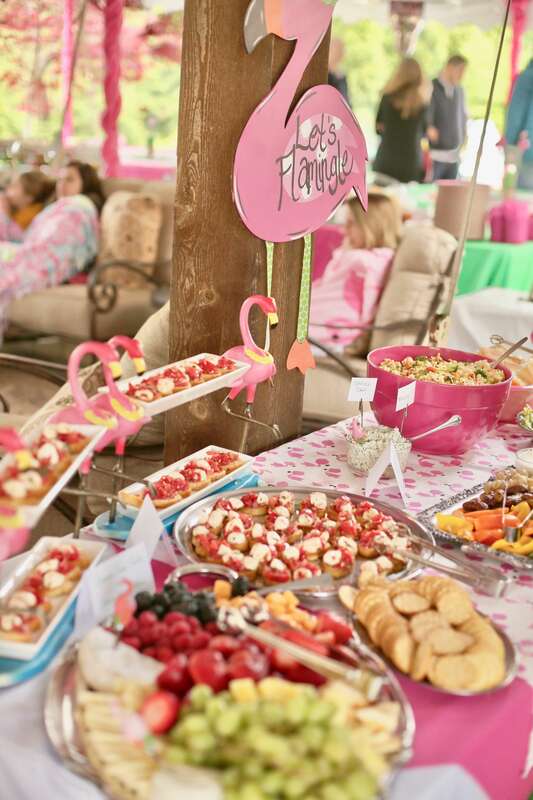 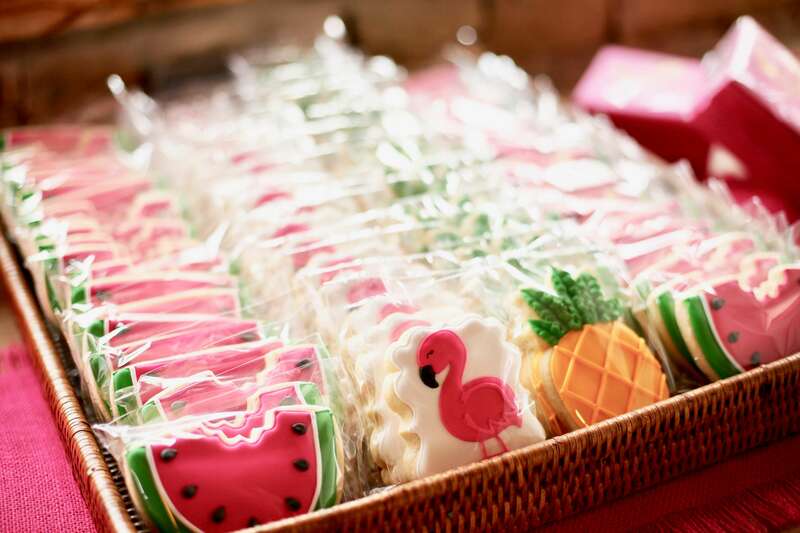 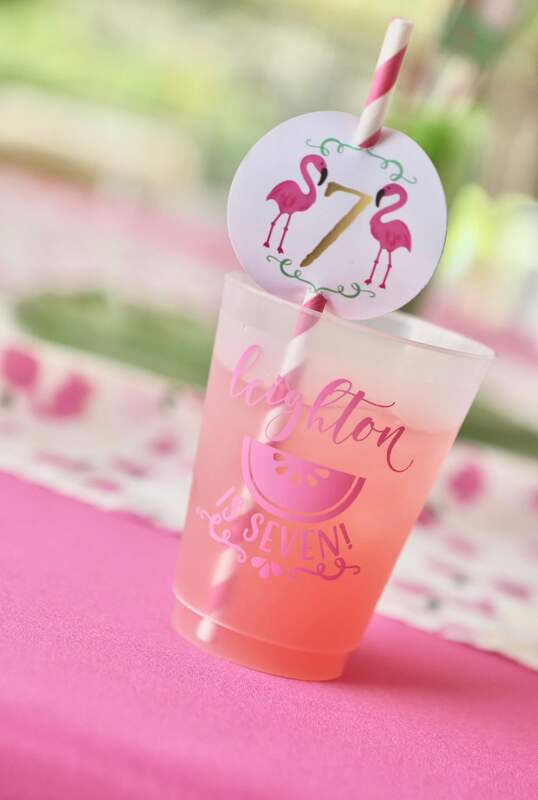 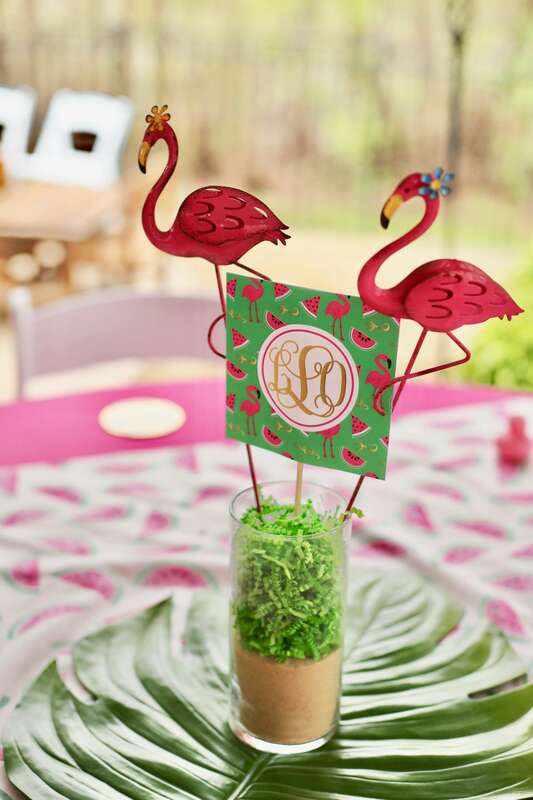 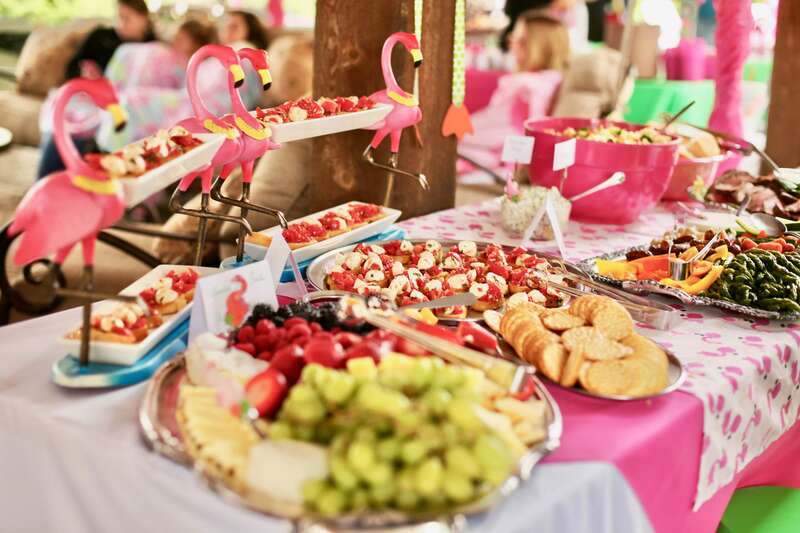 Nothing screams summer like a flamingo and watermelon themed birthday! 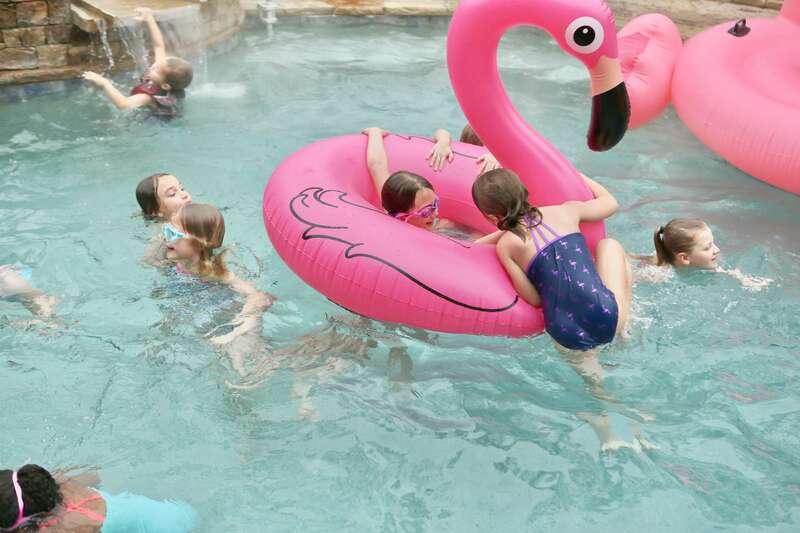 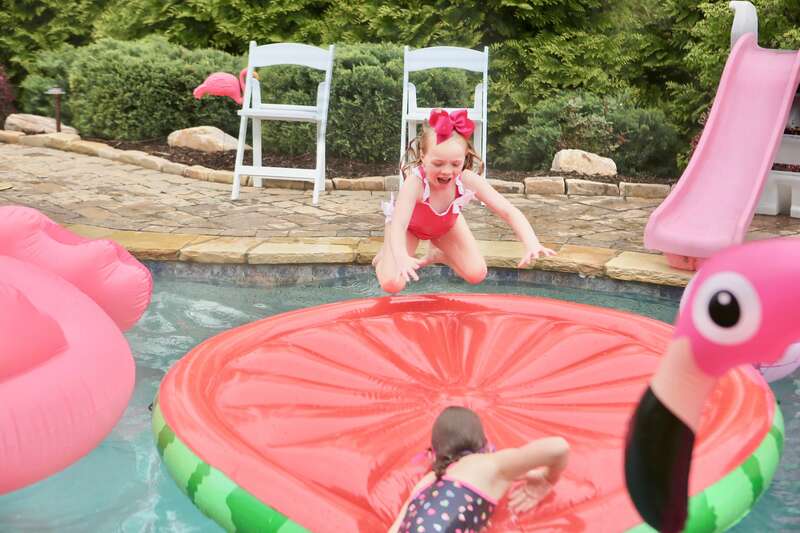 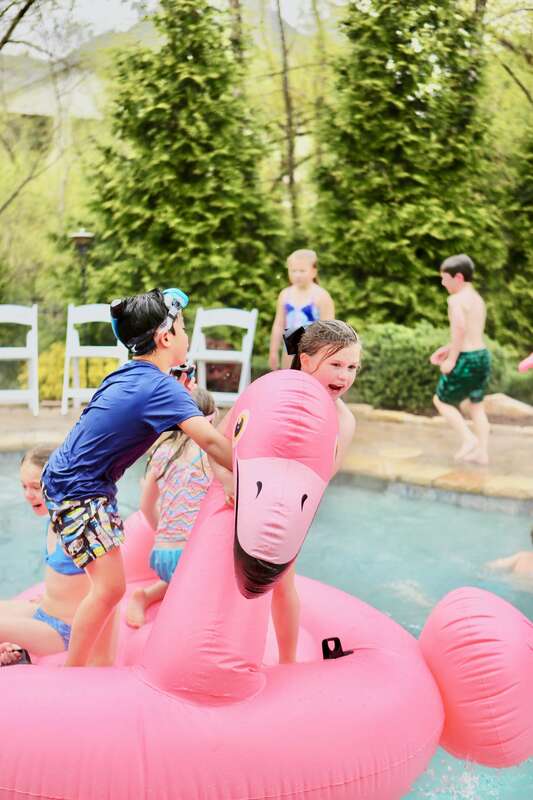 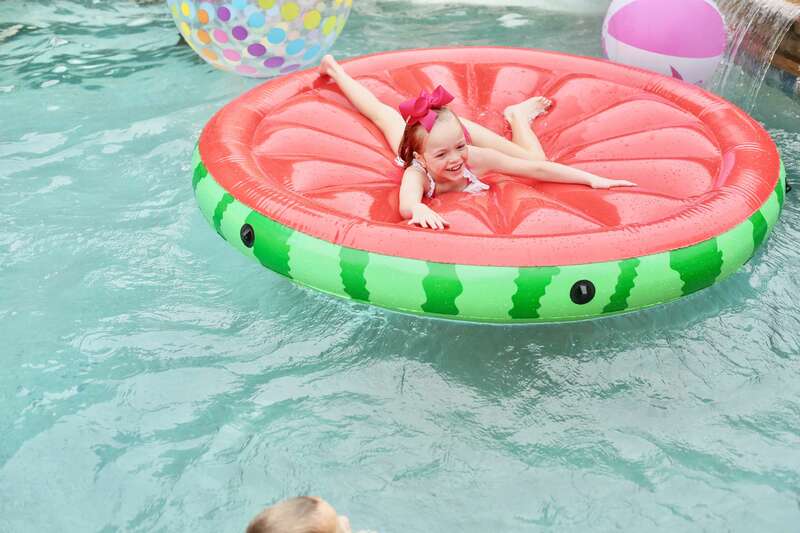 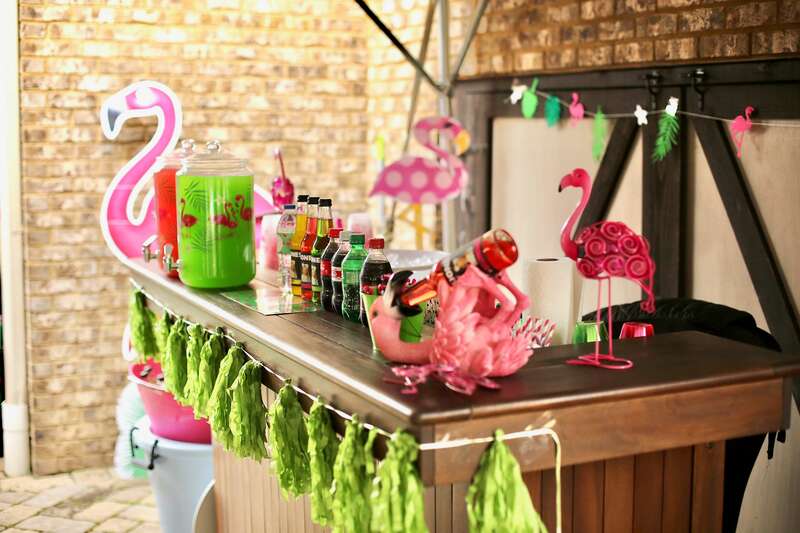 This flamingo birthday has the cutest watermelon accents, a vibrant pink and green color palette, the food spread of our dreams, and of course the quintessential flamingo pool float! 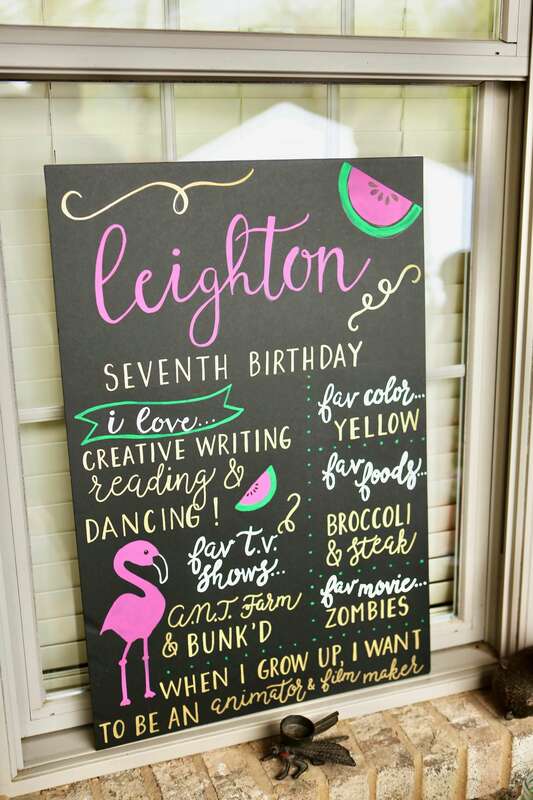 Leighton is one lucky little girl! 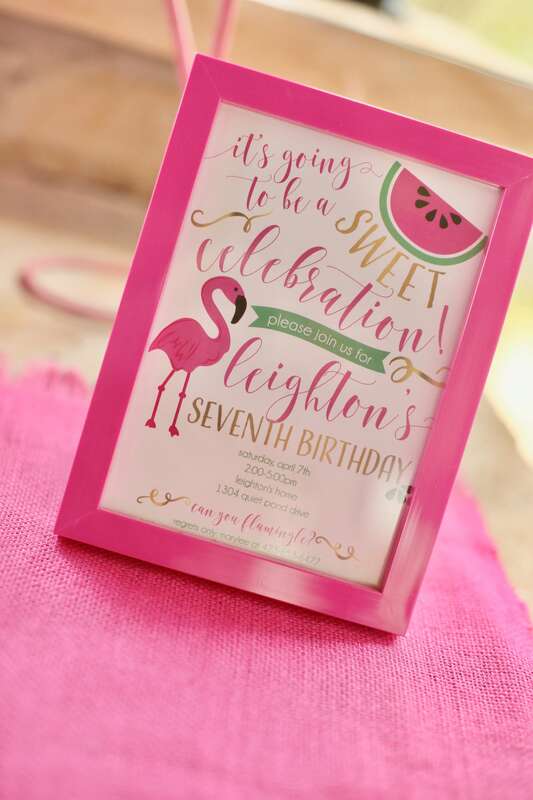 This party was actually an existing invitation design we did for another client a few years ago, that Leighton fell in love with! 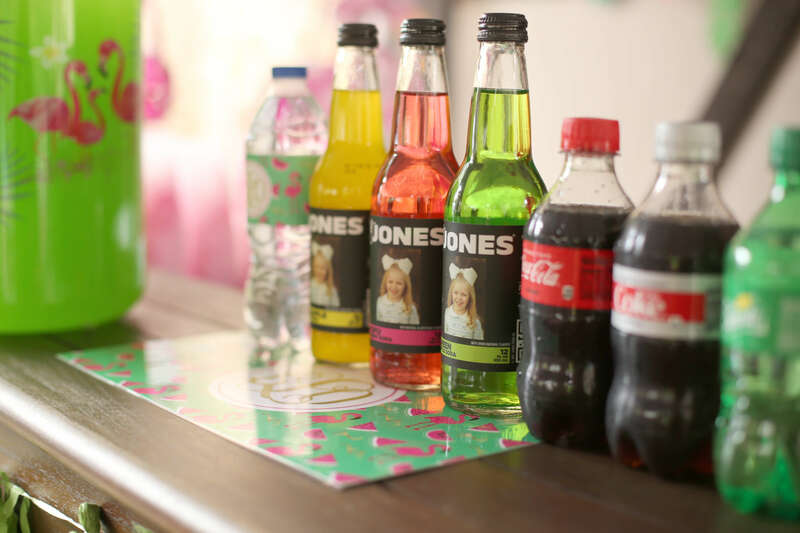 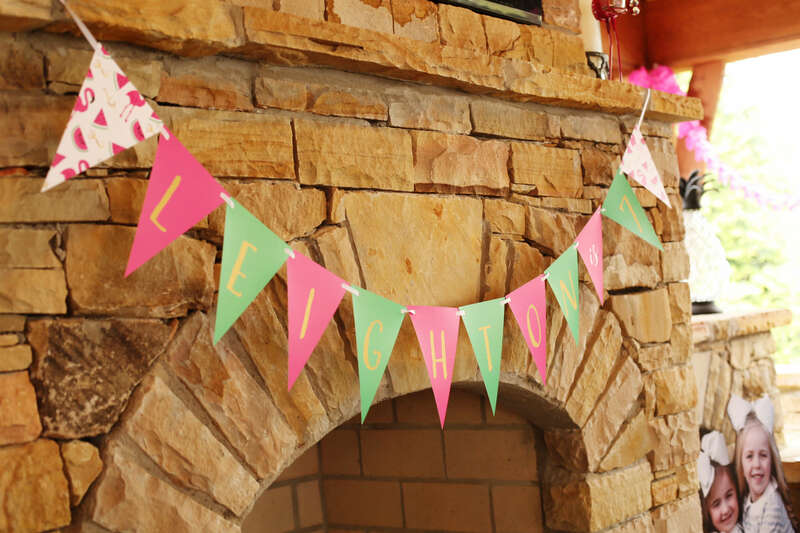 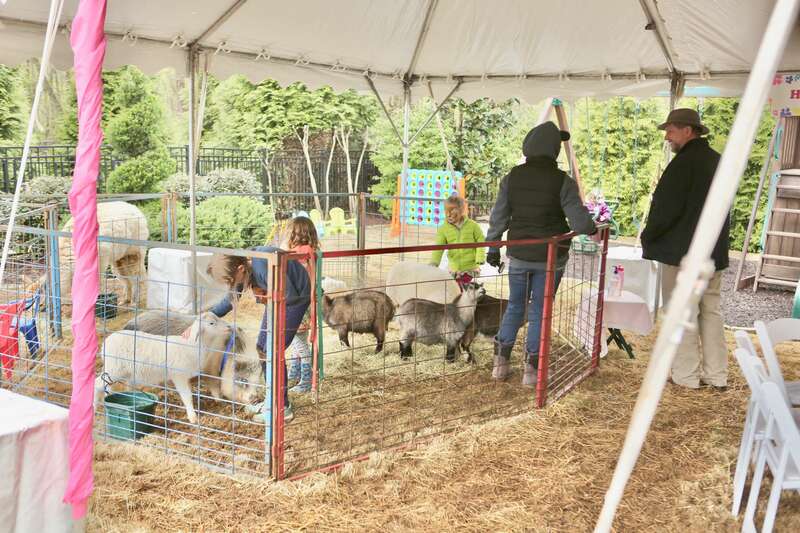 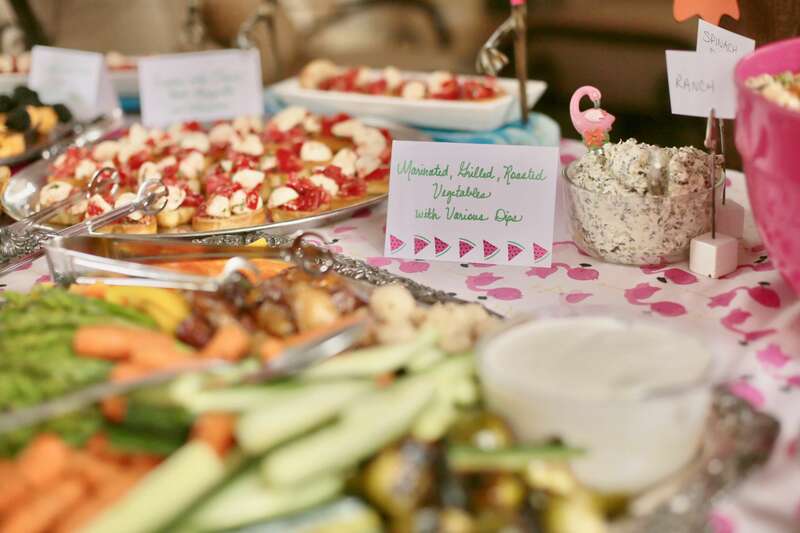 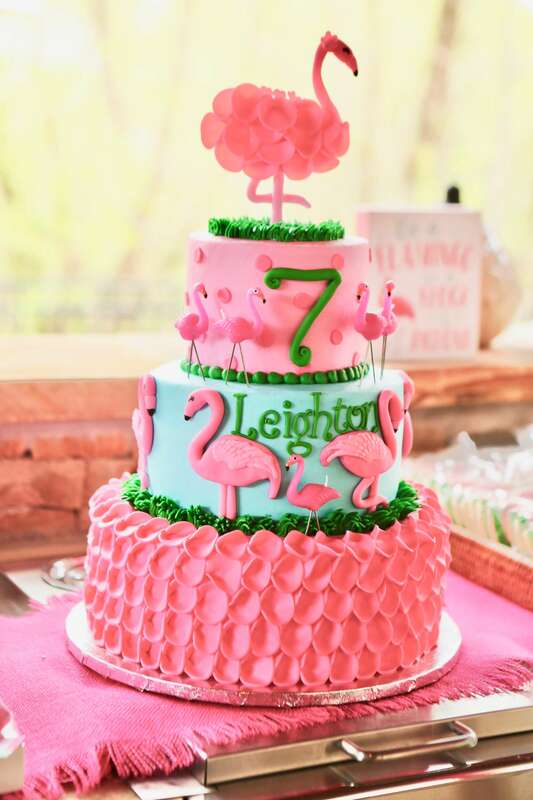 We love how even though this was an existing N&L design, Leighton’s mom used her creativity to make this party new and fresh, and so fun! 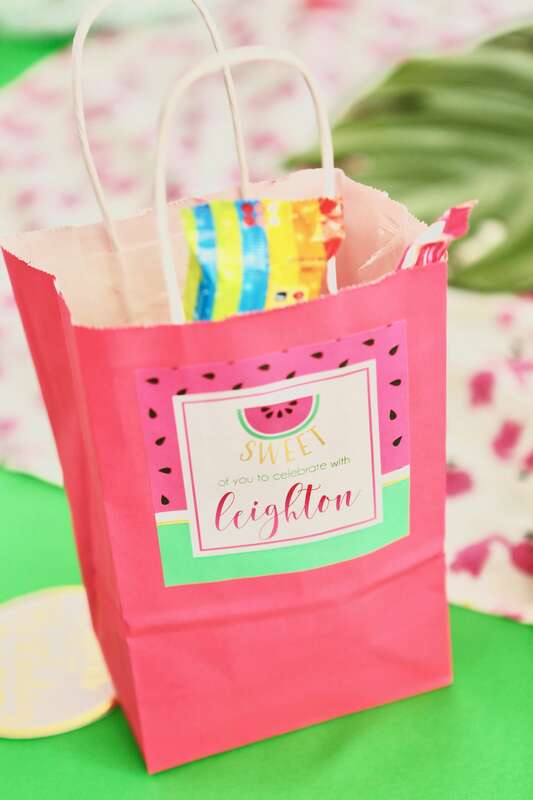 We designed coordinating food cards, adorable mini popcorn boxes that were used as favor boxes, and also custom stickers! 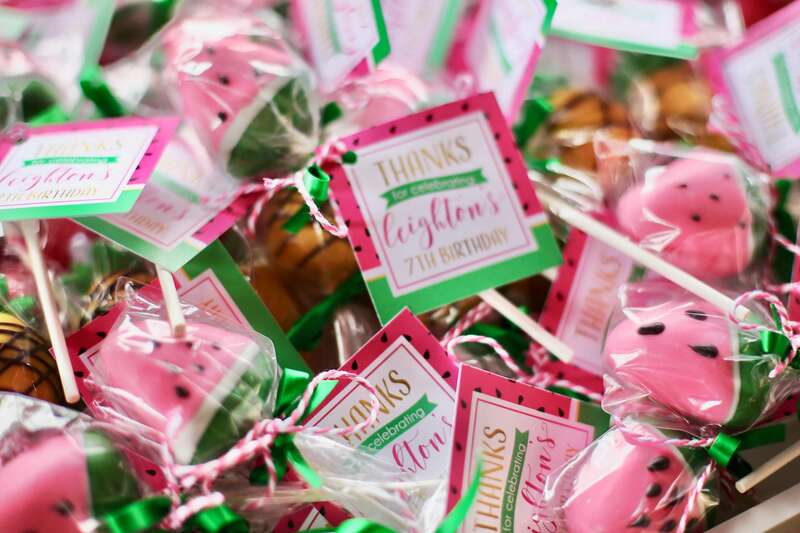 Another one of favorite swag items are the skewers! 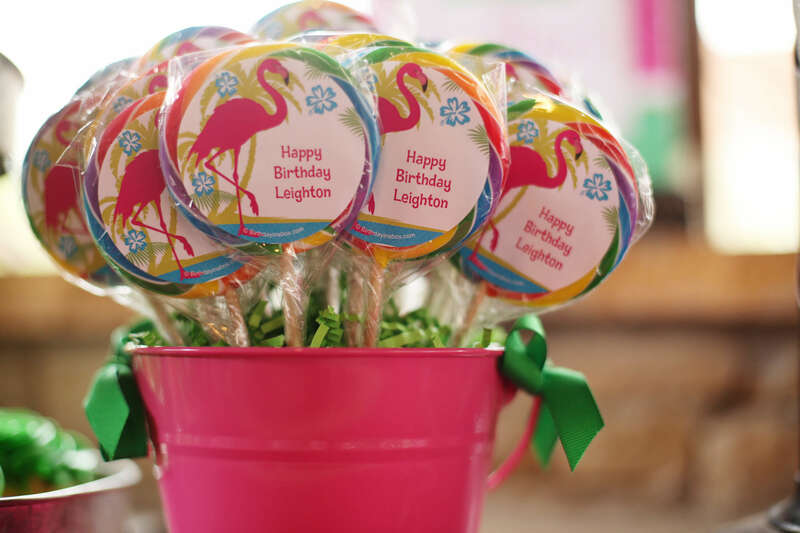 These are so great to decorate a cake table or to stick into flower arrangements and keep that party looking so well branded! 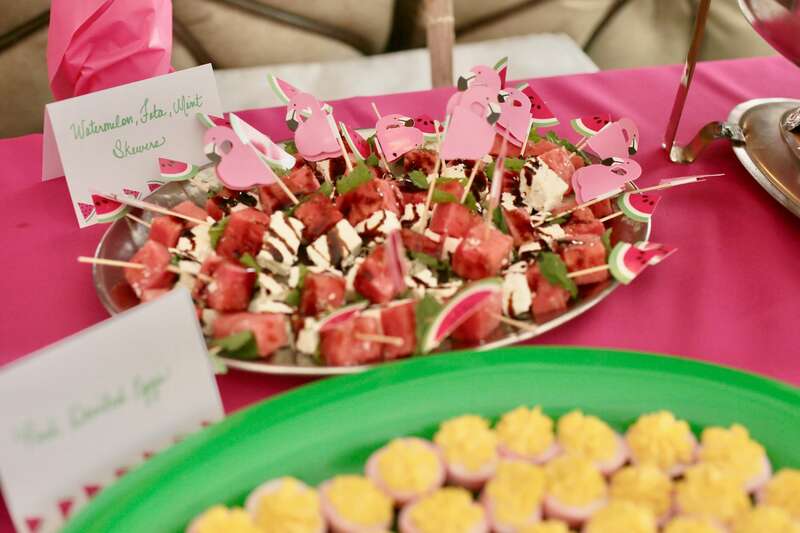 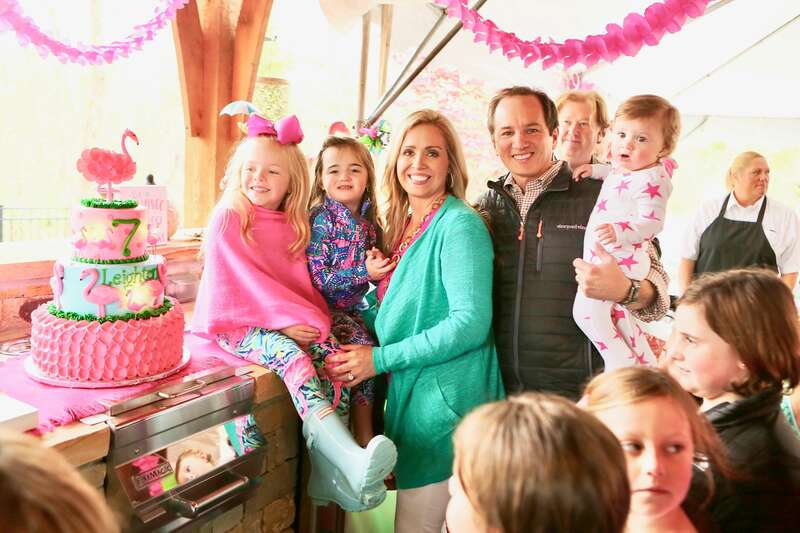 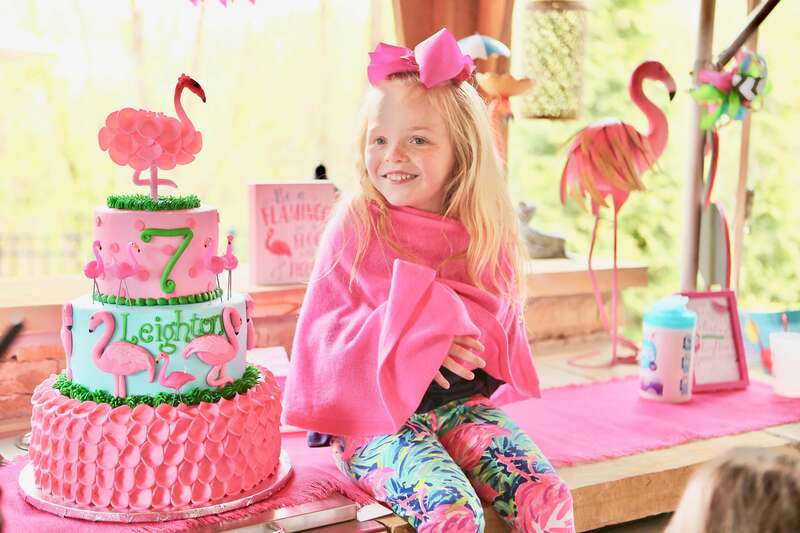 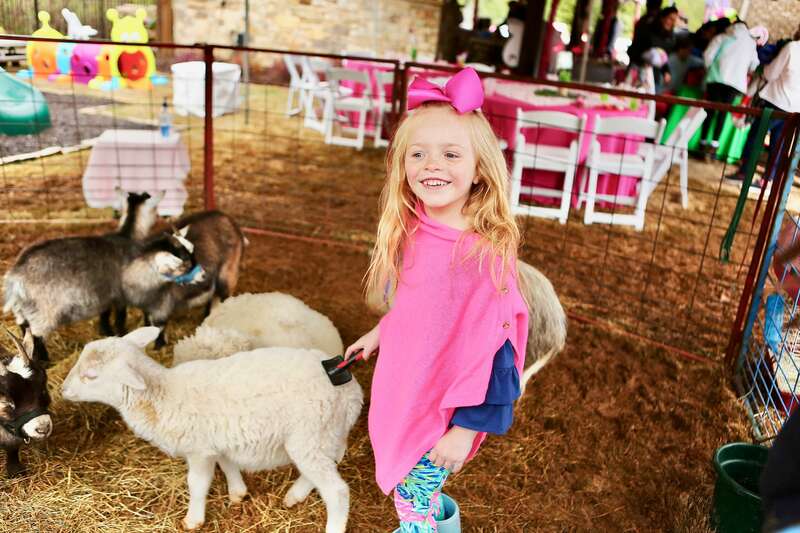 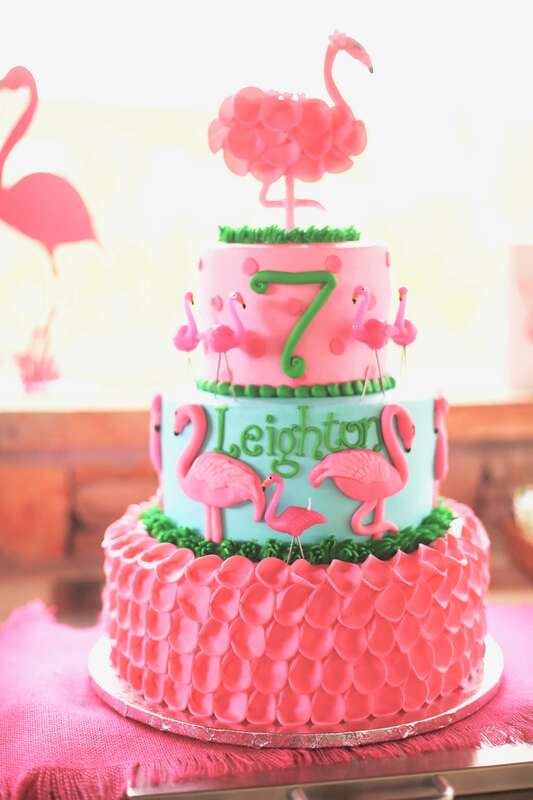 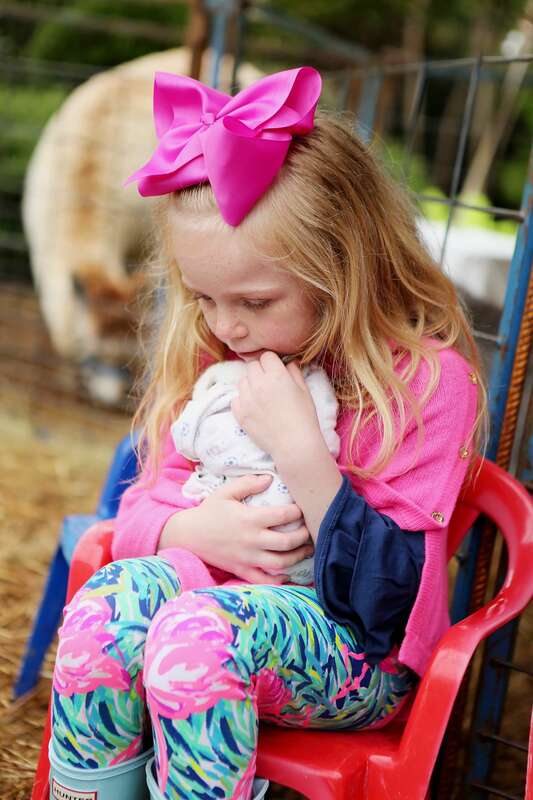 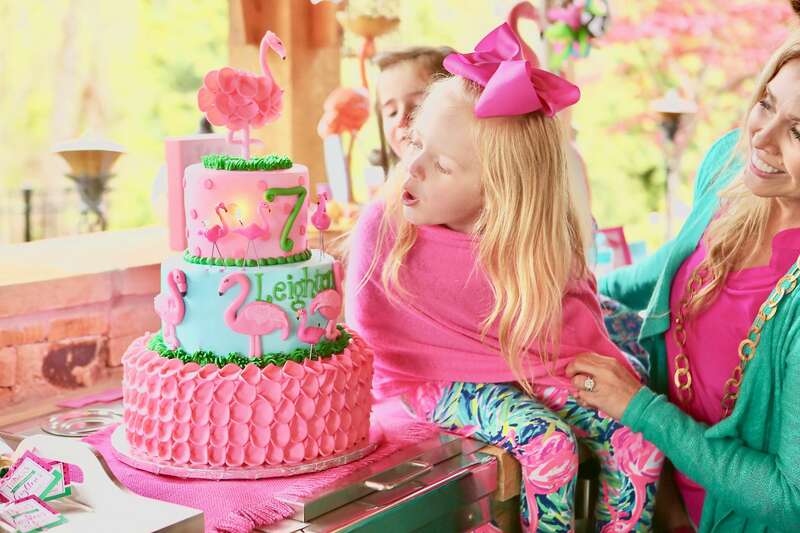 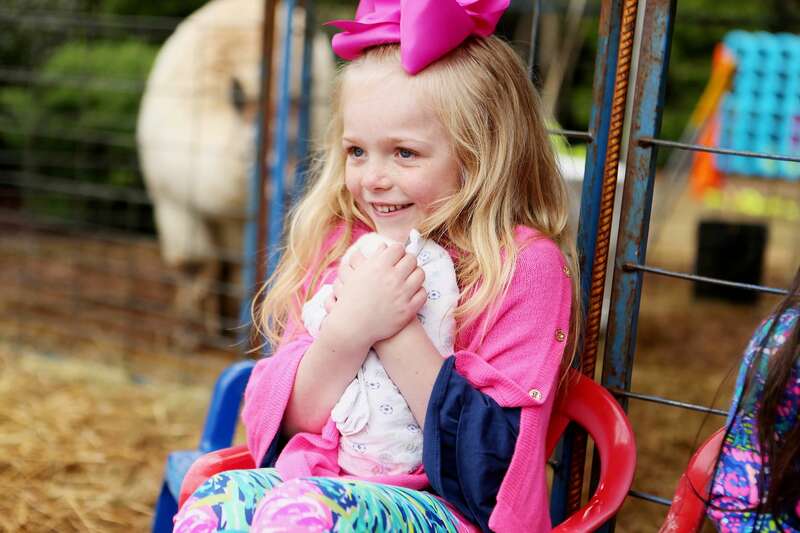 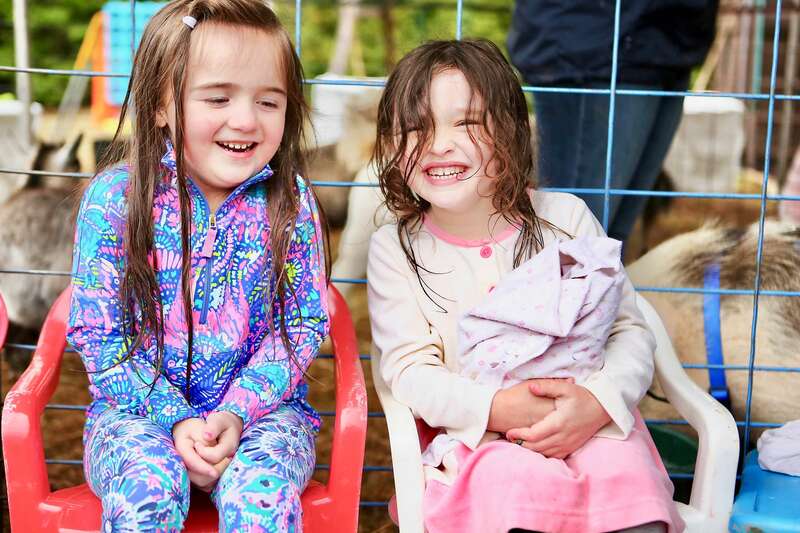 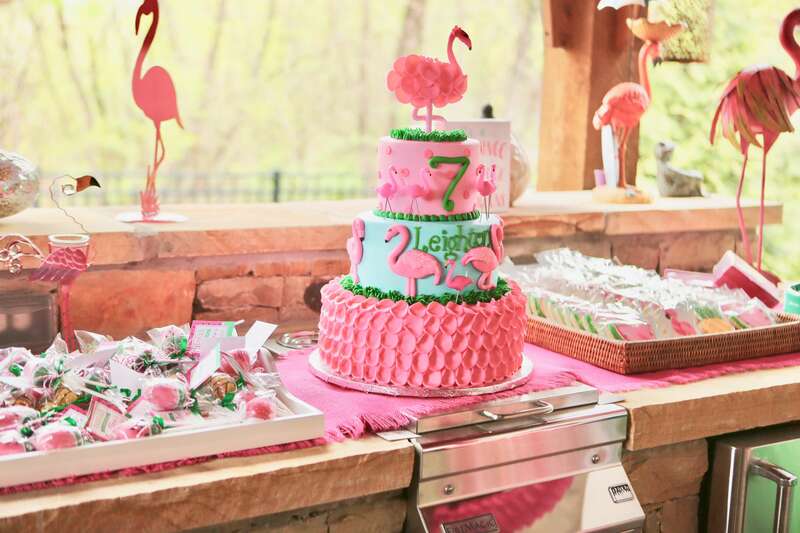 Leighton’s flamingo and watermelon themed birthday cake was the cutest thing we have ever seen! 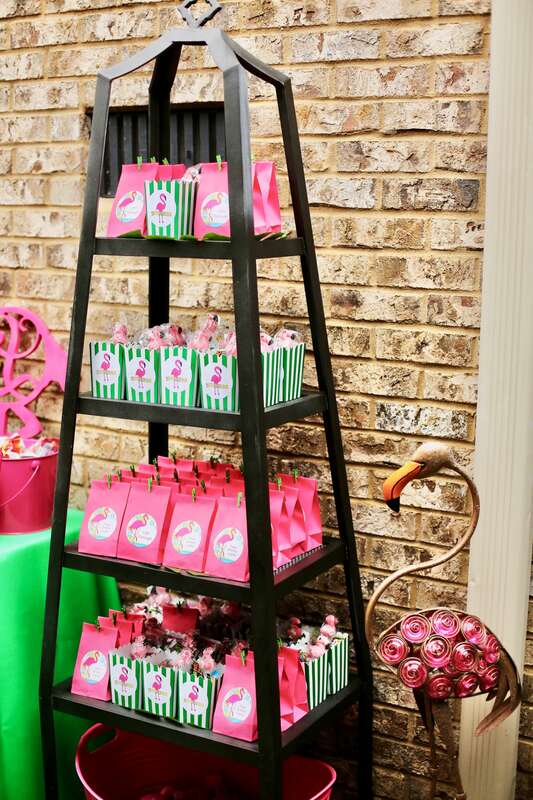 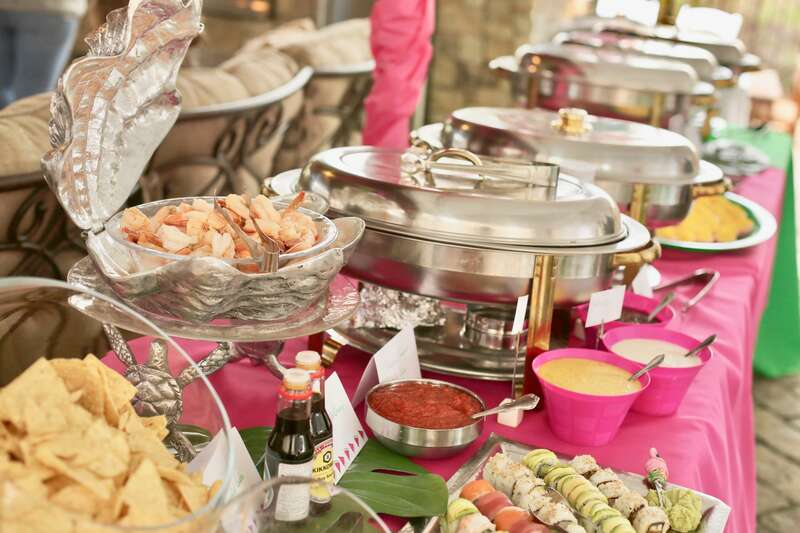 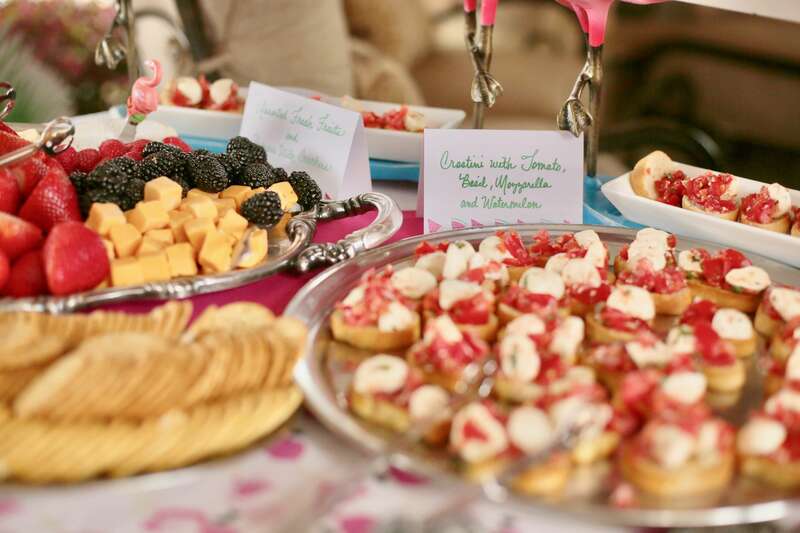 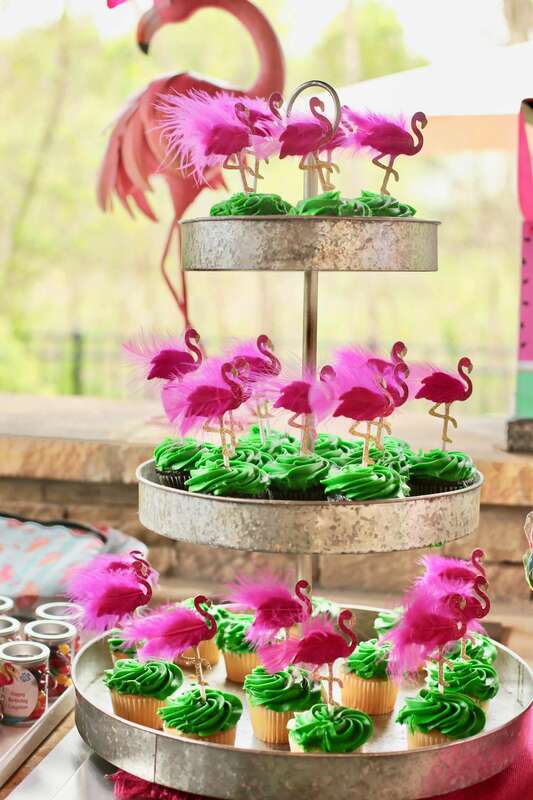 Three tiers for all the party guests to enjoy, and she even had flamingo candles! 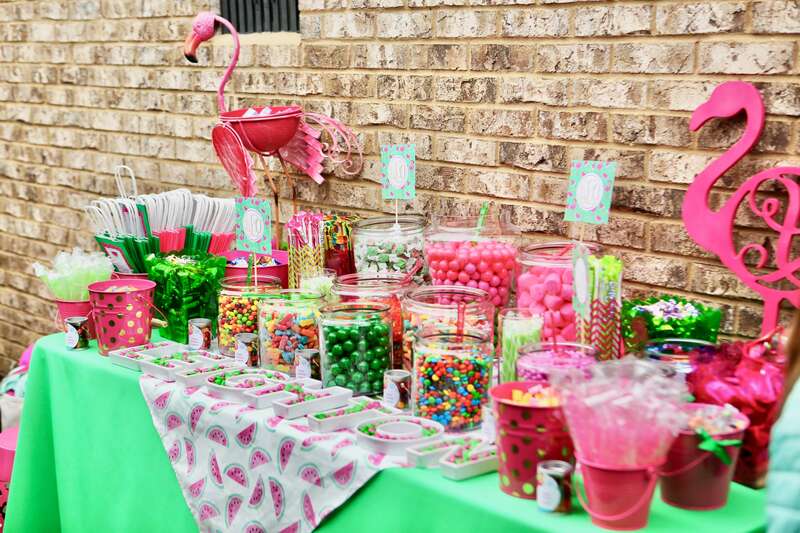 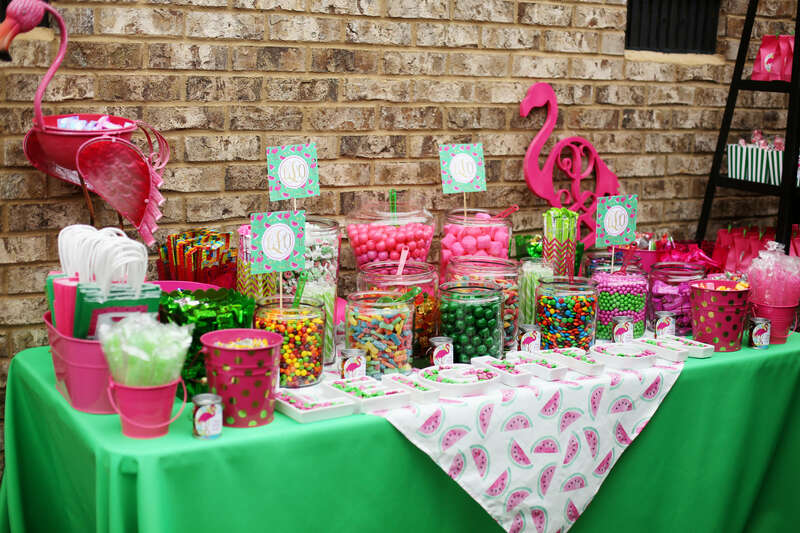 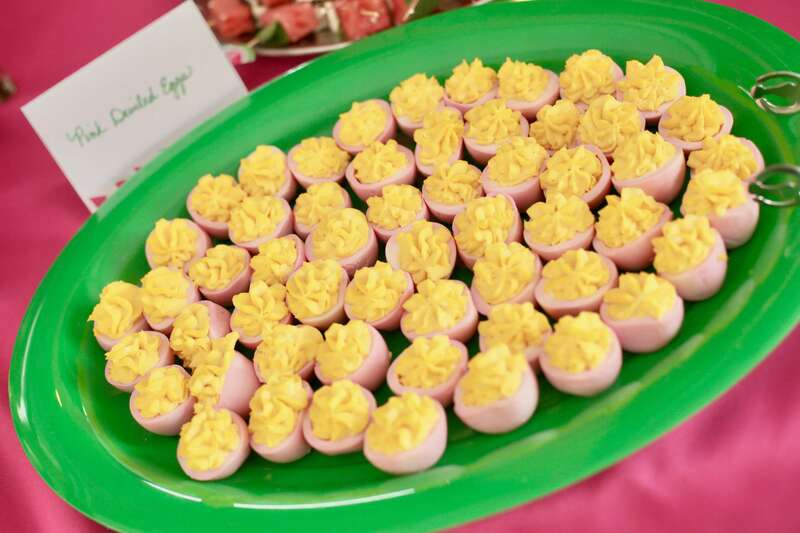 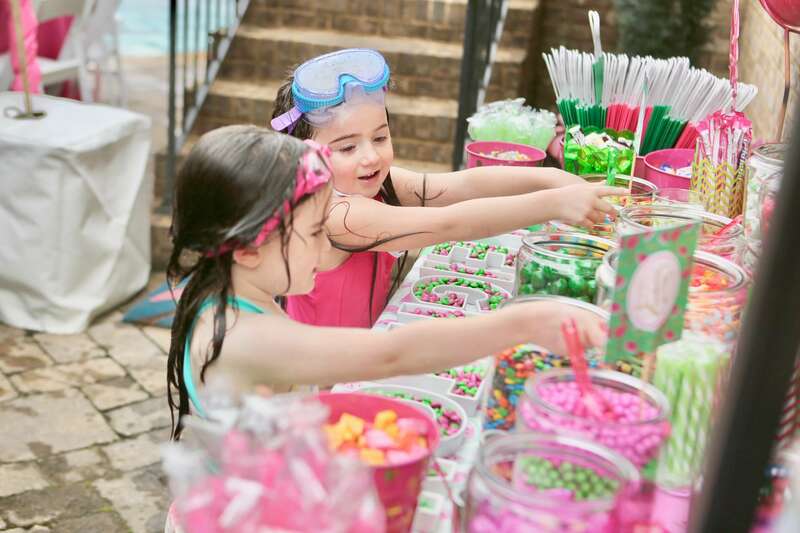 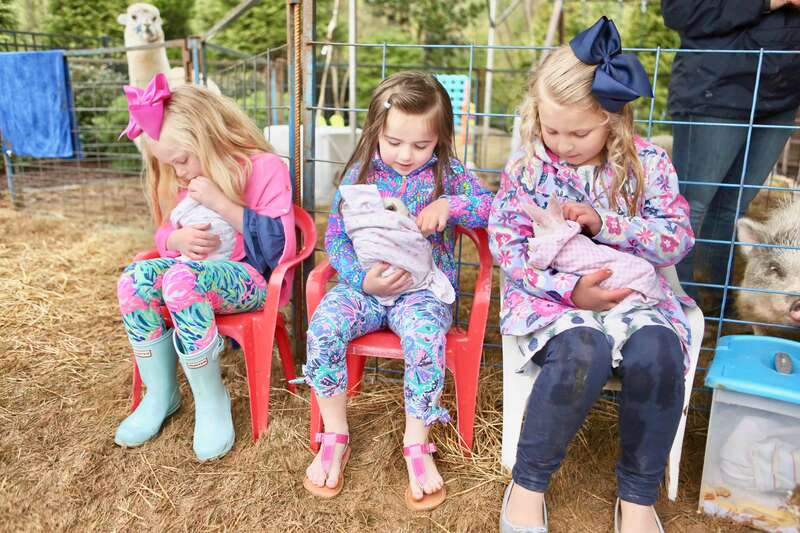 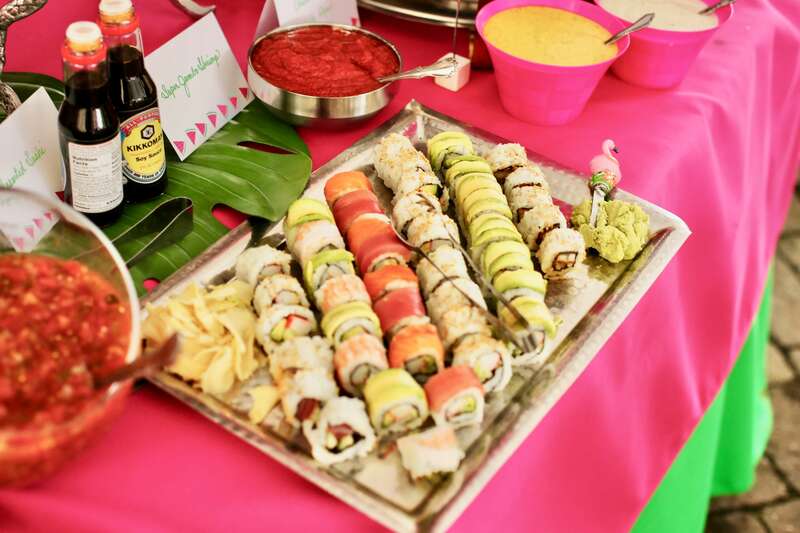 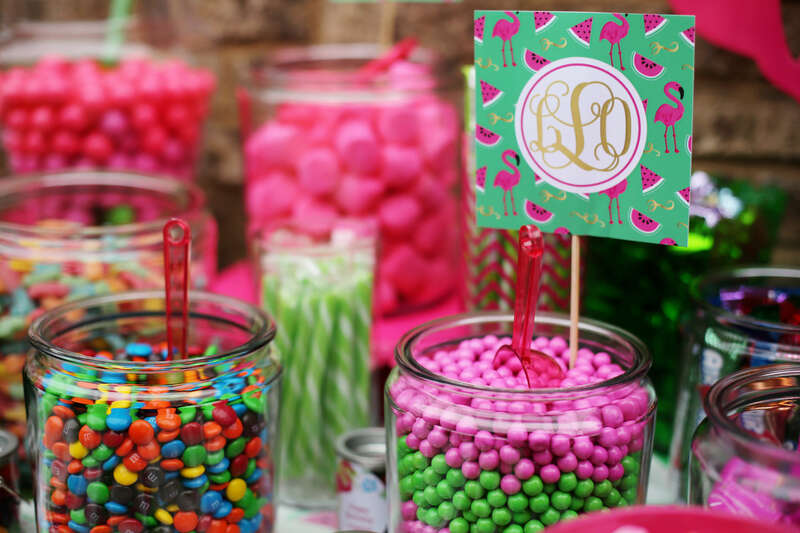 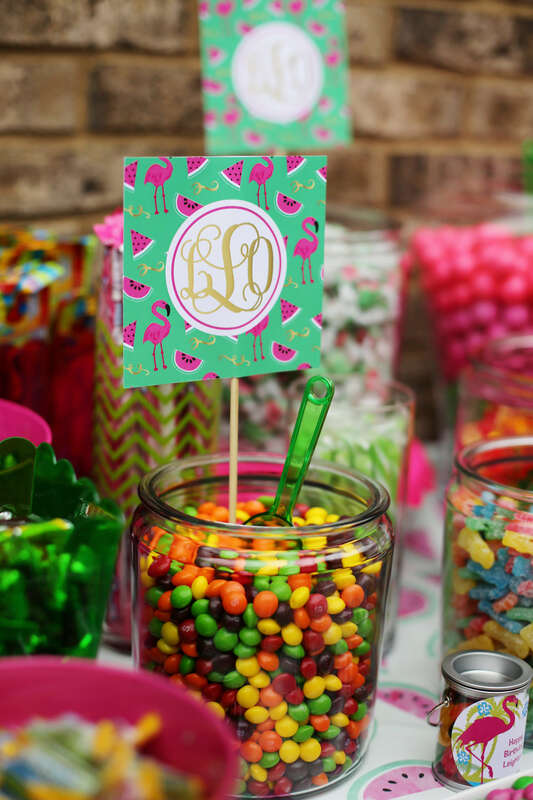 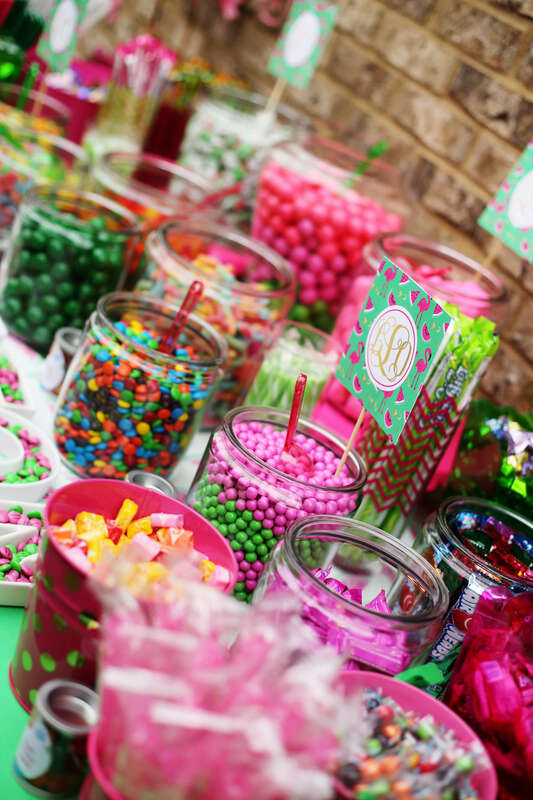 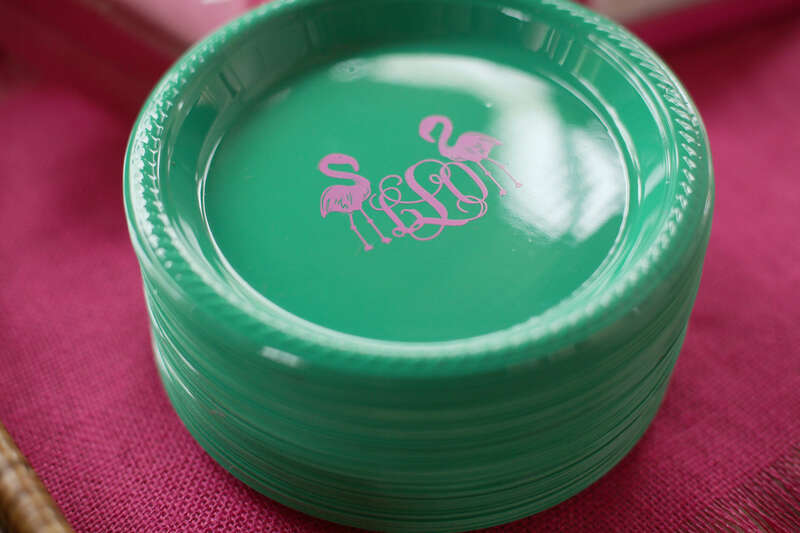 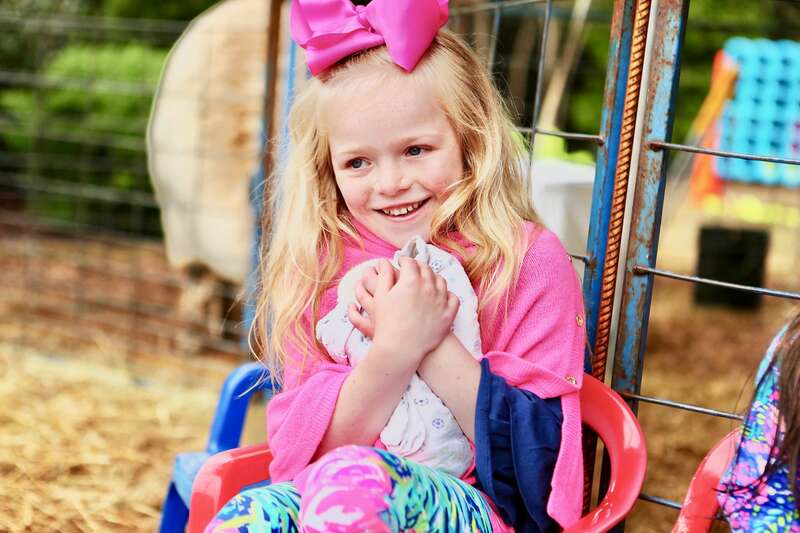 This is such a great theme for little girls who love that pink and green look! 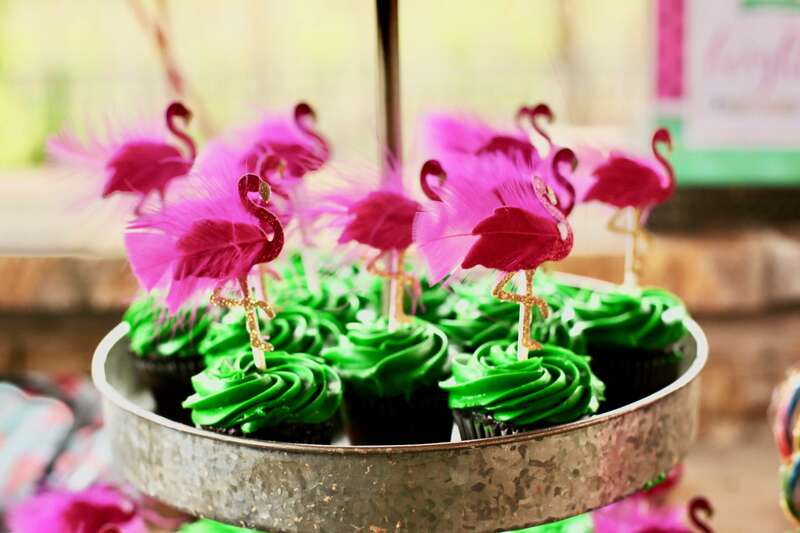 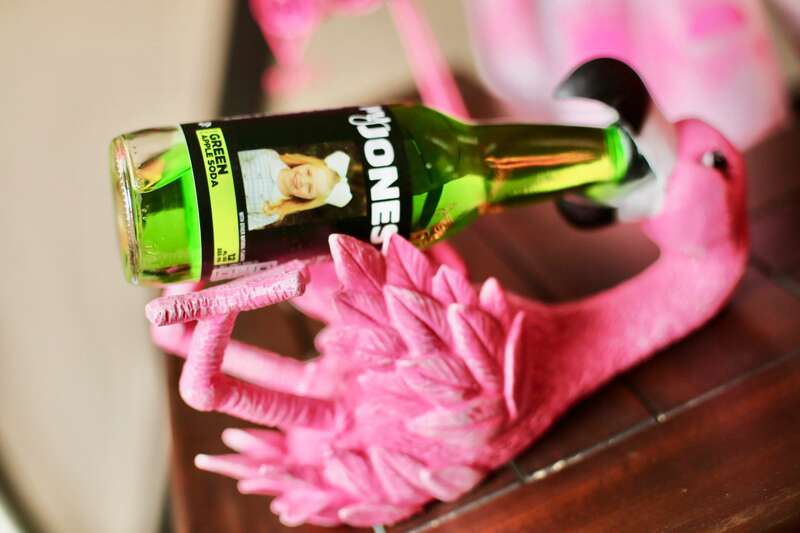 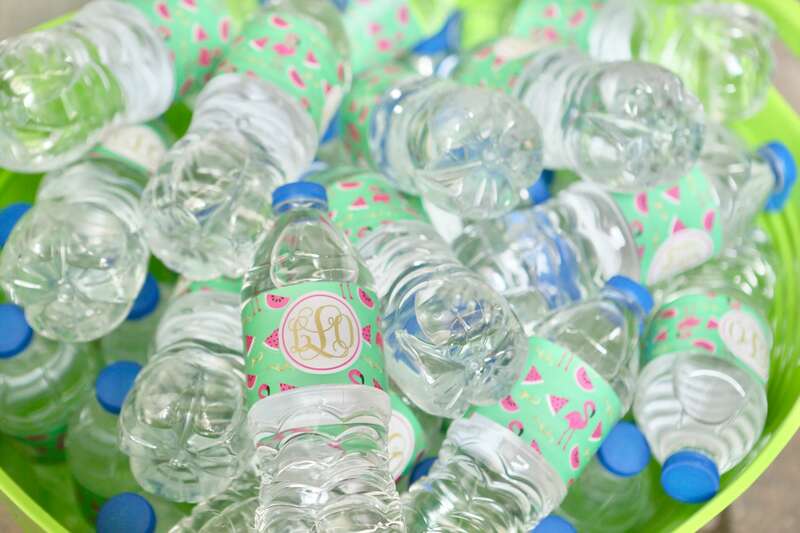 Now we just need a flamingo emoji and we can text this gallery to all our friends!